The Exerpeutic inversion table range are a great choice for anyone new to inversion or for those looking for an updated model. 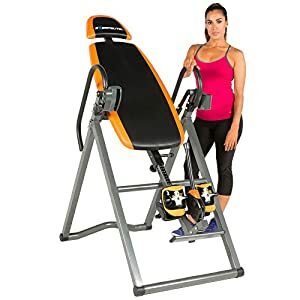 There is an Exerpeutic inversion table to suit all budgets and with each price increase the features on each inversion table get better and better, as you would expect. When it comes to buyer ratings all of the Exerpeutic inversion tables listed below score highly. 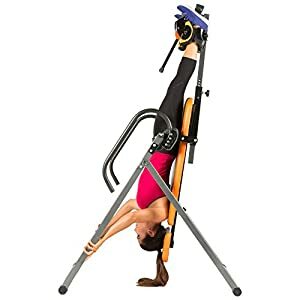 So whatever Exerpeutic inversion table you opt for, you can be guaranteed it will be of a high quality and loved by the majority of users. 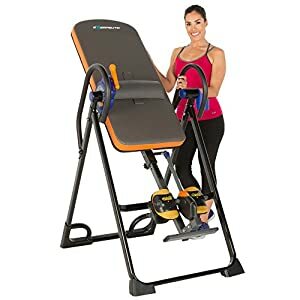 Take a look in the tabs to the right to see our recommended Exerpeutic inversion table and see the most popular choice. You can also view what stand out features Exerpeutic inversion tables generally possess. With the exception of the basic inversion table from Exerpeutic, other Exerpeutic inversion tables have a lot of great features on all of their high end tables. 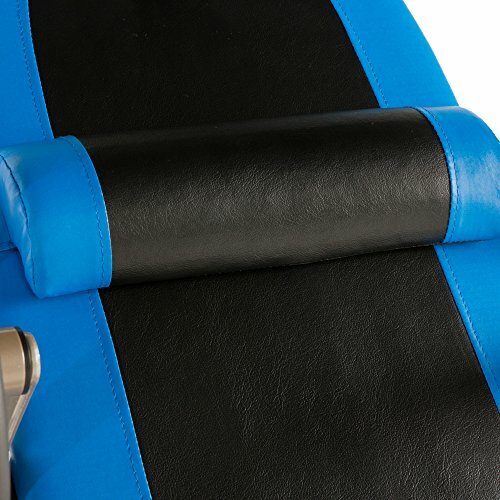 Exerpeutic inversion tables all feature comfortable padded backrests (even the budget option). Generally the newer (more expensive) models feature more inches of padding. The newer models also comes with a lumbar support pillow. The newer inversion models from Exerpeutic have some really nice angle limitation features for those not wishing to dive into full inversion straight away. The best limitation device is on the recommended 975SL model, the iControl disk brake system. This system allows you to limit the limitation wherever you wish while using the inversion table. You can read more about this feature on the 975SL product page here! Other models such as the 225 SL and the 475 SL feature a cross bar device and a slot pin system respectively. Both of these systems are good, but are a little more ridged due to the limited angles on offer. You can read more about both of these features on the product page for each inversion table. The basic Exerpeutic model features the standard tether strap feature, as found on many other inversion tables. On all inversion tables from Exerpeutic (except the basic model) you have the option of either standard plastic ankle holders or Exerpeutic Airsoft ankle holders. Many love the Exerpeutic Airsoft holders due to their high comfort and great support. To read more about this feature click on one of the models below with the yellow ankle holders to view the full product description. 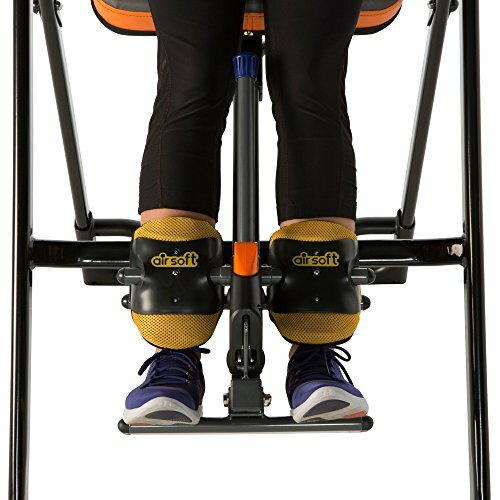 On all of the high end inversion tables from Exerpeutic there is a rear stretch bar which can be used for additional stretching and help with stability and balance while inverting. 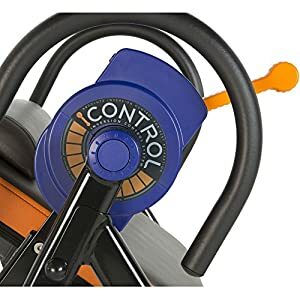 A great feature that is often overlooked. Not featured on the basic model. The large padded backrest with lumbar support pillow makes the 975SL model really stand out from the other Exerpeutic inversion tables. The Exerpeutic 975SL also features an iControl disk brake system which allows the user to limit the angle of inversion even when the inversion table is in use. As with the other more ‘high end’ inversion tables from the Exerpeutic range, you can opt for the standard ankle holders or the Exerpeutic exclusive Airsoft ankle supports which provide incredible ankle comfort. You can read all about these features in more detail on the 975SL product page, as well as read buyer reviews. The Exerpeutic 975 SL is the best Exerpeutic inversion table overall for features, although because of this it is also the highest in price. Compared to other brands however, it is fairly well priced and is also one of our top 3 best inversion tables featured on our homepage! 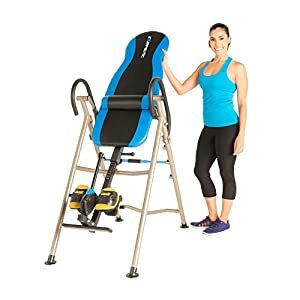 Surprisingly the most popular Exerpeutic inversion table is the budget option, however this is likely to be due to the low cost. It may also be due to this model being one of the older models and therefore it has likely been available for longer. 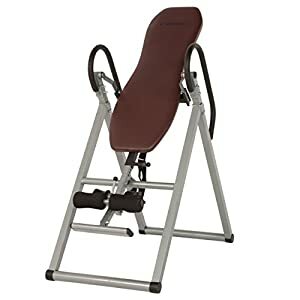 Although this basic inversion table does not have any of the great features other Exerpeutic inversion tables possess, it is a very good entry level inversion table at a very low price. 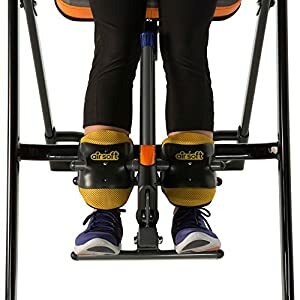 As with all of the inversion tables from the Exerpeutic range it is very well rated and has excellent reviews from a number of satisfied users. This Exerpeutic inversion table is also ranked in our top 3 best budget inversion tables list! A perfect table for those wishing to test the water with inversion therapy without spending a great deal.